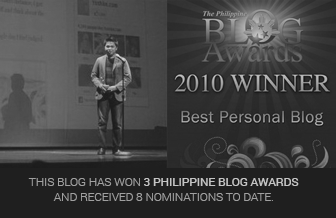 My college friends and I used to have a barkada forum and a blog. We used to post there absolutely anything that we could think of. Simple things like our dreams. Crazy things like our own dictionary. And weird things like how we prefer to kill cockroaches when we see one. One of my college friends called my attention to a certain blog post we posted back in the day. I’d actually forgotten about it already. But now that I’m reading it again, I just can’t help laughing. And I’m sharing it with you. However, I apologize to all my Pinoy readers as some parts are in Tagalog and I kept it that way. Translating it would just ruin it. 1. Pour Green Cross alcohol. 2. Get encyclopedia and drop it right on the target. Make sure it finds itself in a very AWKWARD situation where it will render itself confused, disturbed, and a bit in a vertigo state. 3. Make sure when it flies, you have an alcohol with you and swish it to make it pilay. 5. LEAVE OVERNIGHT FOR MORE FLAVOR! 2. If ipis is on wall, take off shoe or slipper and make sapak the ipis. 3. If ipis is on kisame, get walis and swish at the ipis to make it fall down. Then proceed to number 1 or 2. 4. If Reen sees ipis while she is washing dishes outside their house, then she makes squirt-squirt it with dishwashing liquid and pours the dirty water on it. See them scatter. If ipis crawls near the hand, grab the nearest kawali and slap it on the ipis. Do nothing if it crawls down the drain. 5. If ipis is flying, grab a Baygon can and spray mercilessly towards the ipis. You will be momentarily disgusted at seeing the legs of the ipis in all their glory nearing toward you—but then you will soon have the satisfaction seeing the ipis make gewang-gewang as it falls to the ground. All done while screaming like a headless chicken. 1) Grab the ipis by the feelers. 2) Make hulog the ipis in a bottle of muriatic acid. Plug the bottle. Oh ipis. You’re so kadirs. That’s why I can’t touch you. That’s why I can’t get near you. That’s why I can’t make buhos the Green Cross, make tapak the you, make hampas, make sabon, make tunaw, not even make hawak. All I can do is stare while you crawl oh so near, wishing so hard that thou shall not go super near as in almost touching the skin of mine. ‘Coz you’re so kadirs. But despite this what I said when thou tries to invade the privacy of mine, for example, making paramdam whilst I speaking on the phone, especially during the wee hours of the night, I shall summon all courageousness of mine, grab a shoe, a slipper, or a frying pan, and smash thee and all thy kadiriness. Only wish the I that thy green juiciness shall not dikit on the murder weapon of mine. I like to flip it over with my slipper and when it’s in an AWKWARD situation, I pour alcohol on it. The ipis twitches until it dies. Also, you can use liquid soap, toothpaste, or shampoo. Oh yes, also Joy TM dishwashing liquid! 1. Buy the RAID Cockroach Killer TM. It kills even after two weeks! Amazing isn’t it. 2. You hunt for the place where they lounge (i.e. under tables and chairs, near the garbage can, behind refrigerators, water dispensers, and other huge static objects). 3. Wait for a couple of minutes and you will see the effects. One by one they’ll fall to the floor unconscious. Do not be deceived!!! Cockroaches sometimes fake their death so that you would leave them alone. For assurance, drop an encyclopedia (refer to Pam’s entry), or make buhos alcohol (a la Vince). So they were all SMASHED. So which method of killing ipis is your favorite? You can join the fun, too. How do you kill cockroaches? Share na. Now na! doesnt matter! Ihampas pa rin yan! ahaha,. and they’ll turn albino, too, with Mr Muscle! 1. Use a flammable liquid such as alcohol, perfume/ cologne, insecticide etc. 2. If the chosen liquid has a spray bottle, simply put a lighter or any portable source of flame in front of it and aim at the ipis. Instant flame thrower. Hahaha. 1) Be calm. The more you make your fear visible, the more susceptible you are to roach bullying. 2) Grab one of your slippers or, if barefoot, newspaper will do. 3) Approach the ipis directly, then smash and hit it fearlessly. 4) Get it out of your sight: flush in the toilet or sink, sweep and shoot into the trash bin, burn it. Whichever way you want to do it. 5) Resume what you’re doing. yay! glad someone liked it. LOL. syempre may poem para may art! 4. then i’ll wrap it with tissue and throw it in the basurahan. when in the shower or bathroom or even in the kitchen sink, SOAP SUDS kills the damned cockroaches in a matter of seconds! try it!!! oh the ipis chronicles. is engot still alive!? hahaha. @Lolit @Riza haha pag sa banyo binubuhusan ko ng shampoo o kaya mouthwash! Alam nyo ba na 2 ang utak ng ipis? Meron sila utak sa pwet. Kaya kahit tanggalin ung ulo nila, nakakapagisip pa rin sila. Mamamatay na lang sila sa gutom dahil wala na sila bibig. Sabi ng biology prof ko nung college. yuckkkkk, may utak sila sa puwet!!! Ipis , you’re so kadirs talaga!!! Also, I hate those flying ipis! And if I know it right, cockroaches don’t know themselves that they do fly. Why they can suspend themselves in the air, wings flapping. it’s cos of their instinct! These geniuses! Yes, flying ipises are the worst!!! OMG! But my family name… hahaha. I love it! ahahahha…gusto ko i-try yan..lol i will torture the cockroaches!! hmmnn love it!! @KZ haha, wala. kilala ka na ng buong mundo! wala pa akong tulog… i was browsing forums and then clicked this blogsite that you own yoshke… the first post na nabasa ko is yung fireworks, hormones and this blog post… naiyak ako dun sa link na nakalagay dun, yung ‘funeral’… so touching kasi sobra… but then, when i read this post naman, made my tummy ache so much dahil sa katatawa…. as in! ahahaha. because IPIS ang aking everdearest enemy! hahaha! LOOOOVE it! 1. i wont move a muscle. 2. pag tumalikod si ipis, i will look for a plastic cup or bottle. 4. after that, tatakpan ko yung bottle/cup then bubutasan ko ng maliit yun. 5. then i’ll pour HOT WATER! pero hindi yung mado-drown si Ipis. 6. Add some detergent powder. 8. Add some then, patakan ng kandila! wahaha! !laugh trip ako tonight dahil sa mga post mu..i’ll try the muriatic acid way to kill ipis..actually that’s my weakness tapos nakakaasar p sa mga lumilipad n ipis kng san k pumunta don din cla pupunta kya naku mghahanap n ko ng taong pde pumatay sa knya(ipis) coz i really really can’t kill them they’re making me weak..huhu.. I kill the ipis when I see one on the sink. I make it sure it’s lying on its wings, then I pour dishwashing liquid on it and wait til it twitches and die. I can’t step on it cuz I think it’s kadiri. I super hate it when it’s flying, especially when I feel like an “Ipis-pad” and the ipis is aiming to land on me. HAHAHA! Hi there Hannelore Merner right here, that was in fact weird. I simply written an extremely lengthy thoughts at http://www.yoshke.com/2010/07/how-to-kill-cockroaches-the-funny-way however as I clicked on post my own opinion failed to show up. Arghh… well I’m not composing all that text all over again. Anyways, just wanted to mention terrific blog!